For many years Marrickville Council has been committed to building a new Marrickville Library on the Old Marrickville Hospital site (on the corner of Marrickville Road and Livingstone Road), to meet the needs of the growing Marrickville community. The Greens on Marrickville Council have a vision and track record of delivering sustainable community infrastructure, such as the Annette Kellerman Pool in Enmore. Greens on Council have been working hard on plans for an upgraded library as well as development of the Old Marrickville Hospital site as a new “Knowledge Park” that will include a community meeting space, technology centre, a cafe and open green space. The Greens are concerned about plans by some of the non-Green Marrickville Councillors to delay the re-development of the library. There have also been attempts to sell off all or parts of the site off to developers to prevent the proposal to build the new community facilities on the site. With one of the lowest rates of open space in Australia, the Greens on Marrickville Council are strongly committed to developing more parks and community green spaces. BREAKING NEWS OCTOBER 2015 – A developer has been engaged to built the project and the contracts have been signed! The contract achieves the aims for the site as championed by the Greens (as detailed below). It will ensure the vision for the site selected by the community following extensive rounds of community consultation will be delivered. Details are available in the media release at: https://marrickvillegreens.wordpress.com/2015/10/14/contract-deals-community-win-for-marrickville-library/. What is the Greens’ vision for the Old Marrickville Hospital site? At least 4% of affordable housing in the new residential development, which will be targeted on supporting key, low income workers, to be owned by Council and managed by one of our local Community Housing Providers. For more information see the Affordable Housing campaign page of this site. The Winning Library design selected by the community in 2011-2 includes the adaptive reuse of the significant heritage buildings – the Old Marrickville Hospital main building and the Nurses Quarters – with additions opening up to a public park which can act as a public square on the corner of Marrickville and Livingstone Roads. View of winning design from Lilydale Street, showing the historic Marrickville Hospital main building and Nurses Quarters, with additions. 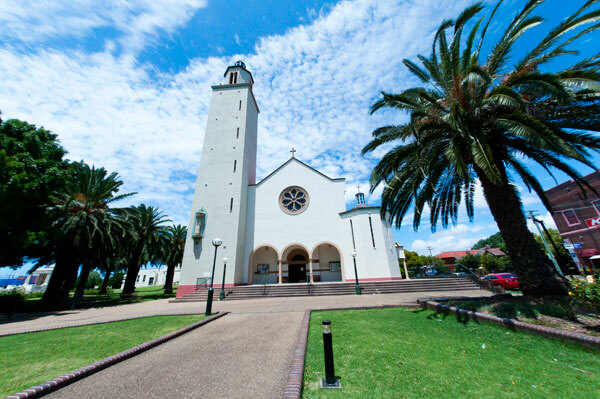 St Brigid’s Church across Marrickville Rd is shown on the left. The project is being funded from the development of the site itself – that is, at no direct cost to the community. The Greens believe in real investment in community assets, and in this case this large site has significant scope for residential development at the back of the site, which can fund the community hub, park and affordable housing at the front of the site. June 2015 – Council has moved to “Stage 2” of the tenders for the site, which involves the four developers which Council shortlisted in 2014 preparing detailed concept plans for the whole site. 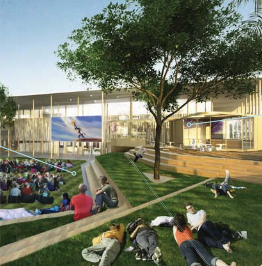 The plans will be made public before Council selects the one successful developer, who Council will engage to build the new library and park, as well as the proposed residential and commercial development, on the site. The concept plans must be consistent with the Masterplan for the site (see details below). The estimated dated for the four tenders to be considered by Council is November 2015. 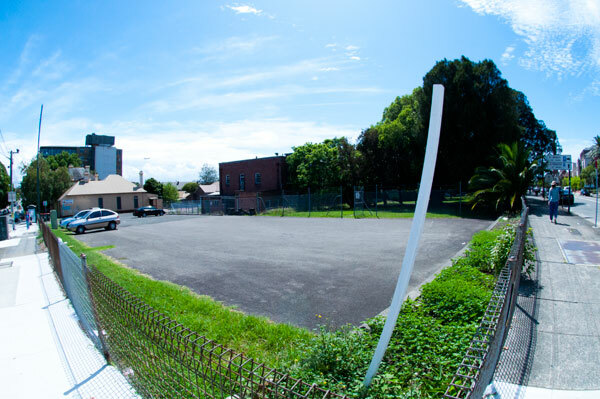 May 2015 – Council votes to move to Stage 2 Tenders for the Old Marrickville Hospital Site. See the 19 May 2015 Council papers. One of the decisions Council also made at this meeting was to approve demolition of three cottages on the site, two of which were of moderate heritage significance. The demolition is only an option if the rest of the project goes ahead – because the intention of allowing development on that part of the site is to provide funding for wider project, including the protection and adaptive reuse of the highly significant Old Marrickville Hospital main building and Nurses Quarters. Details of the heritage reports are also found in the 19 May Council meeting papers. February 2015 – Changes to the Masterplan for the Old Marrickville Hospital site are approved unanimously by Council. For more details see Council’s “Have Your Say” page. Sept 2014 – Community consultation confirms vision for community space on Old Hospital site and Council selects four companies to advance to the next stage, and including potentially help Council build the park and new hub (which would stay in Council hands). At this meeting Council also confirmed its commitment to include at least 4% affordable housing in any future residential development on the site. 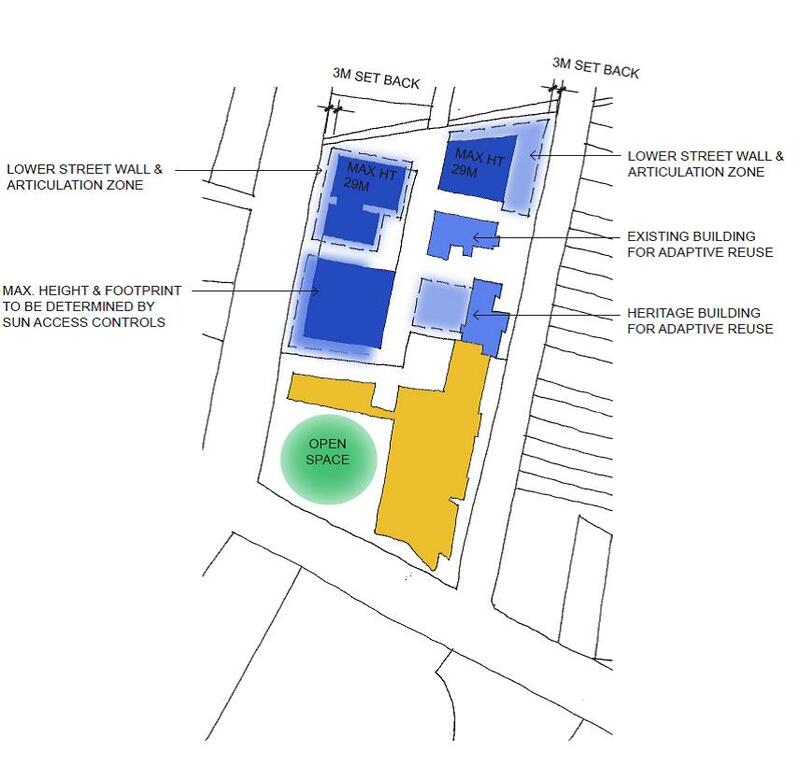 In 2015 the Council unanimously adopted a new Masterplan for the site, which reflects the community endorsed design for adaptive reuse of the Marrickville Hospital main building and Nurses Quarters, and a park on the corner. Changes to the Masterplan suggest amended height limits for the other parts of the site where residential and commercial development is proposed, which will fund the community works at the front of the site. The affordable housing will be included throughout the private residential development, but will be transferred to the ownership of Council. Marrickville Council purchased the old Marrickville Hospital site in 1995. Since that time Council has planned to build a new library for the community. Over the past two years Council has progressed the library and run a design competition and is on the verge of appointing the winning architectural firm. The current Marrickville Library is in the basement of the town hall. It is not a great space and is too small. The Greens have been strongly supportive of building a new, quality library and community hub for Marrickville and are working on Council to make it a reality. The Marrickville Council website has extensive information on the new library project. The original Master Plan for the site included a 9 storey building on the corner of Marrickville and Livingstone Roads. The Greens considered this an overdevelopment and saw an opportunity to build a new public park as part of the new library’s forecourt/entrance. 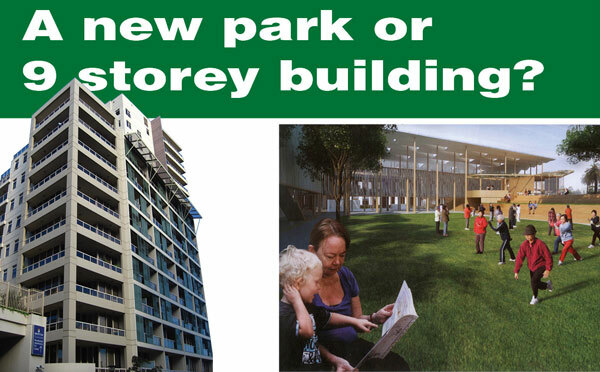 In December 2010, the Greens were successful in passing a Council motion to delete the 9 storey building a replace it with open space. The Marrickville Council area has one of the lowest rates of open space in Australia at 0.87 hectares per 1,000 residents. 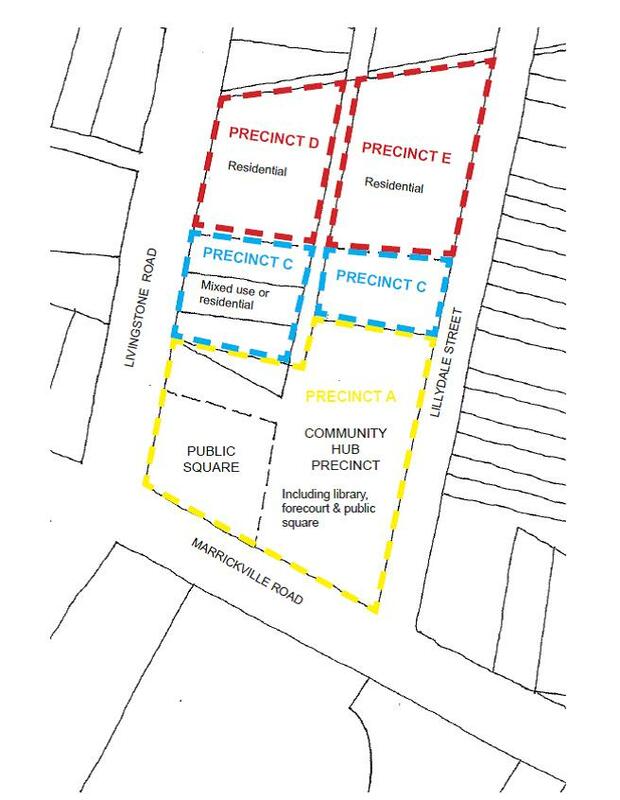 The central Marrickville precinct has a ratio of just 0.64 hectares per 1,000 residents. For reference the NSW standard is 2.87 hectares per 1,000 residents. The new park/forecourt, as well as refurbishment and reuse of the heritage hospital building were incorporated into the architectural tender documents and have formed part of the concept designs for the new library. On 20 March 2012, with a September Council election fast approaching, the Labor Councillors and conservative Independent Councillors Morris Hanna and Victor Macri started a series of moves to delay, defer, scale-back and criticise the library. This included a move to delete the new park and a push for the 9 storey overdevelopment on the corner block permitted by the 2009 Master Plan. So far they have failed to secure the numbers on Council. On 3 April, Councillors Macri and Hanna, as well as some of the Labor Councillors fled the Council building just prior to a scheduled meetingto avoid a vote on progressing the library. It is quite clear that at least some Councillors want to turn the new library into a political football in the lead up to the Council election. They have attempted to ramp up a rate rise scare campaign. Community infrastructure such as the new library, community hub and park is too important to be wrecked by the politicking of a few councillors. Council must of course look at all options to fund the library without unnecessary burden on ratepayers. The Greens are asking the community to get involve and tell their elected representatives what they’d like to see. From 2012 – Do you prefer a new park or a 9 storey building for the corner of Marrickville and Livingstone Roads? Write to your Councillors and tell them what you want to see happen. Councillor contact details are available here. Talk to your friends, neighbours and other residents. Report the whole storey please, not just half of it. This post represents the Greens point of view on the library and park issue. Obviously other parties and people may have a different opinion. They can put their opinion on their own website, or even in this comments section. I want a park and a new library. Marrickville LGA needs more trees, more parks, more open space and I applaud any efforts in this regard. We also need a high quality library with all sorts of community facilities and services. I am not a townplanner or architect or economist or any sort of expert like that, so I don’t know what is the best way to achieve that outcome, but I do have confidence that a party such as the Greens who are committed to the environment, sustainability, equality, will make this happen, with the best possible outcome. I’m a big fan of parks but I’m concerned about the way the bogeyman of over development is used on this page. It seems to me that the Greens should be big fans of high density housing in inner suburbs. High density = affordable housing for the poor and easier access to the economic/educational opportunities of the city, lower emissions per capita and higher rates of public transport use. So by all means, push for more parks and trees on streets. But don’t be tools of existing landowners (not a particularly dispossessed segment of society) and their NIMBYism that results in people paying ridiculous amounts on rent and mortgages, or moving to car dependant suburban sprawl. If you want references, I’d be happy to provide them.